Good Choice Reading: Cover Reveal: The Vampire's Hourglass by Shayne Leighton! 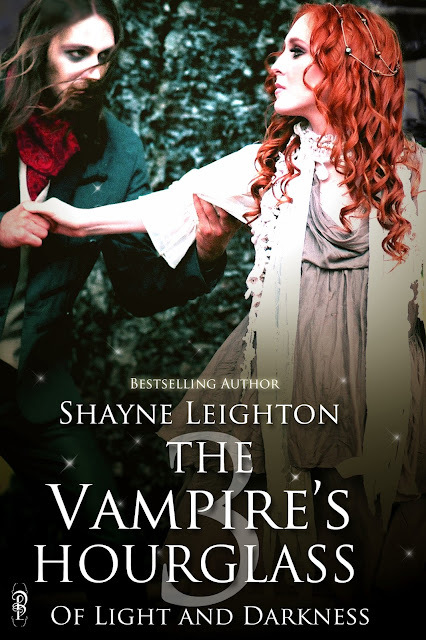 Cover Reveal: The Vampire's Hourglass by Shayne Leighton! After narrowly surviving a near-death experience in an effort to save Valek from yet another showdown with Aiden, Charlotte awakens inside the forsaken, crumbling walls of the Regime Palace. Though she finds herself surrounded by her closest friends, she is conflicted over her feelings of the sudden absence of her Vampire guardian from her life. With Nikolai there to console her, Charlotte cannot shake the undeniable chemistry she feels for this familiar stranger. But they are running out of time. Charlotte’s peculiar ailment will return and Sarah, the witch, will sacrifice her youth and beauty in order to save her best friend, unless they find the secret, Dark City. Charlotte, Nikolai, Sarah, and several other favored characters travel down to the underbellies of Prague to find Valek. But what the end up discovering are the dark and nasty secrets the elder Vampires have been hiding for centuries. Charlotte must overcome her mortal limitations to win back the heart of the one she truly loves and escape the gates of Abelim with her throat intact in this enthralling, highly-anticipated third installment of the Of Light and Darkness Series. I can't wait to find out what happens with everyone in Book 3. The Vampire's Hourglass. The cover for this book is amazing as well as the author is amazing in all she has done and will do in the future.